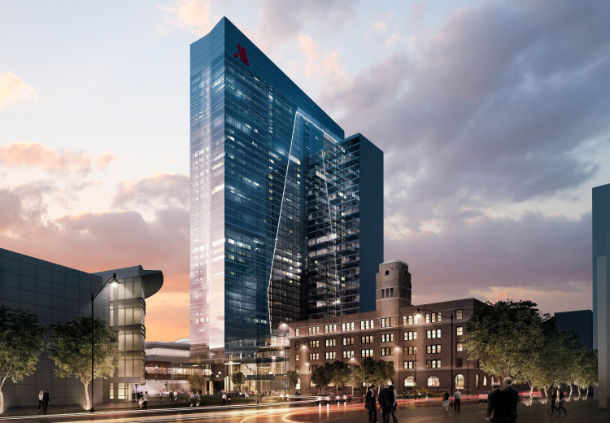 Connected by covered sky bridge to McCormick Place Convention Center, Marquis Chicago offers everything you need to conduct business on the cutting edge. Transcend the ordinary at the four-star Marriott Marquis Chicago. 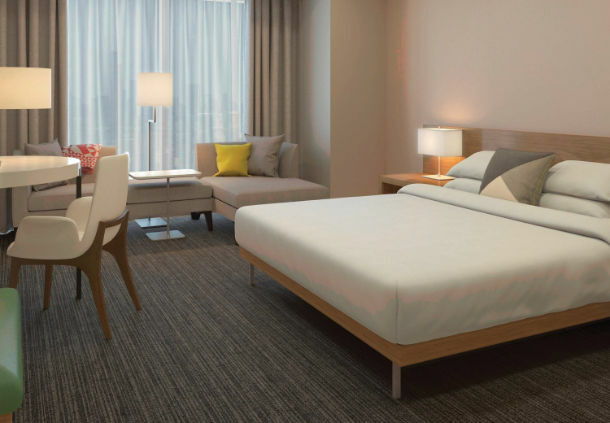 Having made its grand debut to the Chicago skyline in September 2017, our hotel spans 40 stories overlooking the world-class setting of Lake Michigan, downtown Chicago and South Loop. Our hotel features 1,205 stylish guest rooms and suites, with over 93,000 square feet of elegant event space. Staffed full-service business center on-site. Get on I-190 E. Head southwest on I-190 W. Take the exit toward Bessie Coleman Dr. Turn right onto Bessie Coleman Dr. Take the Interstate 190 ramp to Interstate 90/Interstate 294/Chicago.iTake I-90 Eto E 25th St. Take exit 293Dfrom I-55 N. Merge onto I-190 E. Merge onto I-90 E. Take exit 53 to merge onto I-55 N. Take exit 293D toward Martin L King Dr. Take S King Dr/S Martin Luther King Drto S Prairie Ave. Merge onto E 25th St. Slight left to stay on E 25th St. Slight left onto S King Dr/S Martin Luther King Dr becomes E Cermak Rd. Turn right onto S Prairie Ave. Fitness center open 24/7. Equipped with cardiovascular equipment, free weights, treadmills, cross trainers, recumbent, spin & upright bikes. 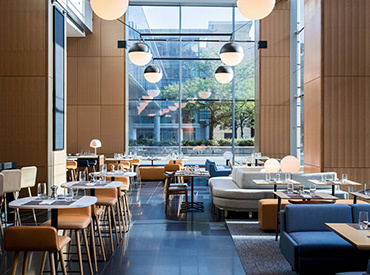 Dine at our modern hotel restaurant, designed in the Marriott Great Room concept. Tempt your taste buds with our bountiful breakfast buffet and delicious American cuisine for lunch and dinner. Savor tasty food made from fresh ingredients in our Fresh Bites Pantry restaurant here in our hotel. Enjoy our American cuisine before heading out to, and after you return from, meetings, exploring or shopping in our vibrant downtown district. Open for breakfast, lunch, and dinner.